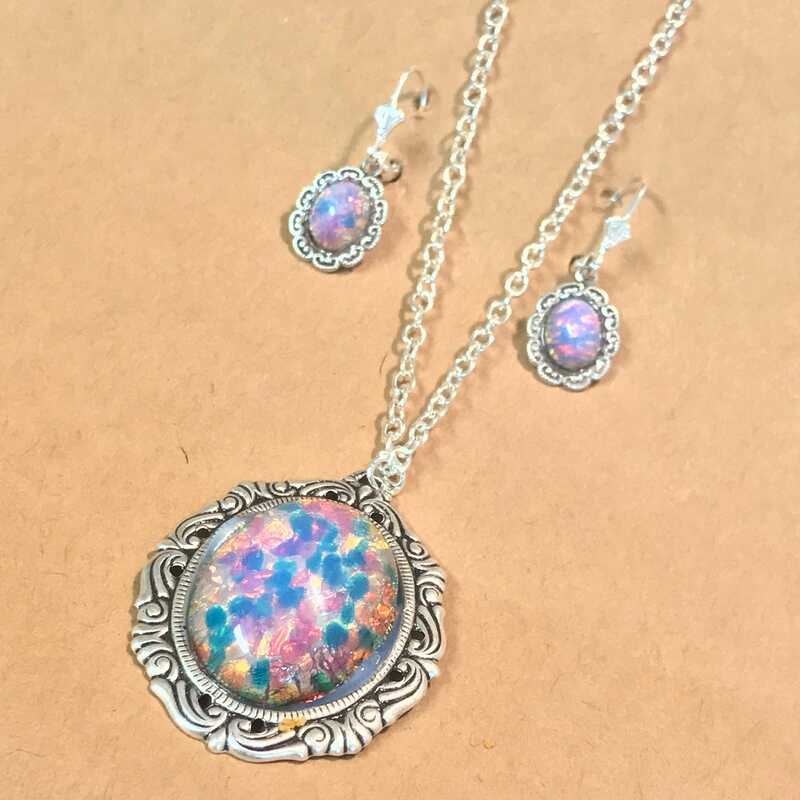 This beautiful vintage pendant made of glass pink Opal is 1.25" tall set in a silver bezel. 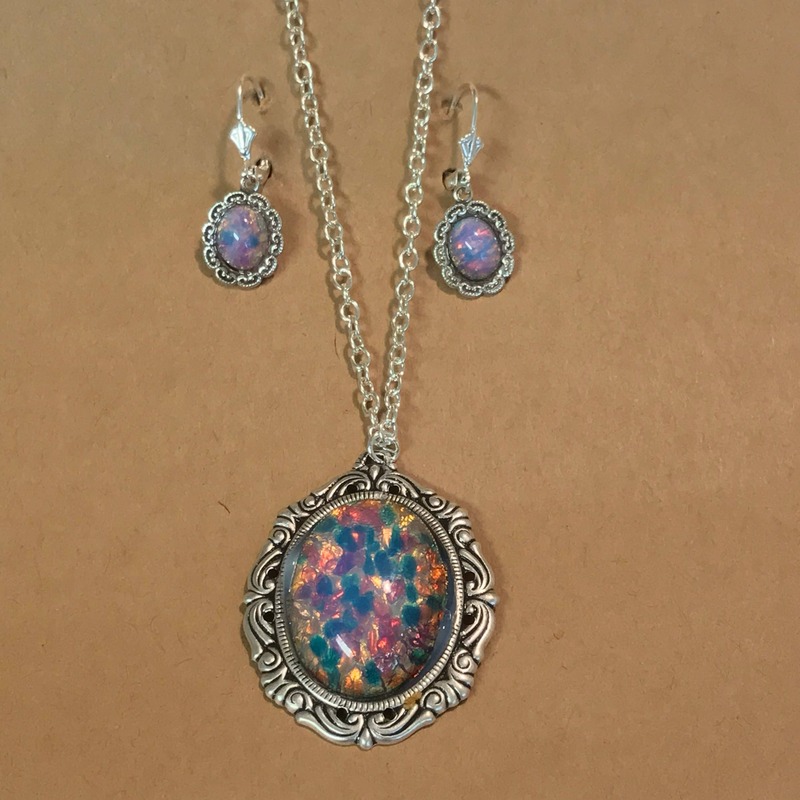 A great statement piece. 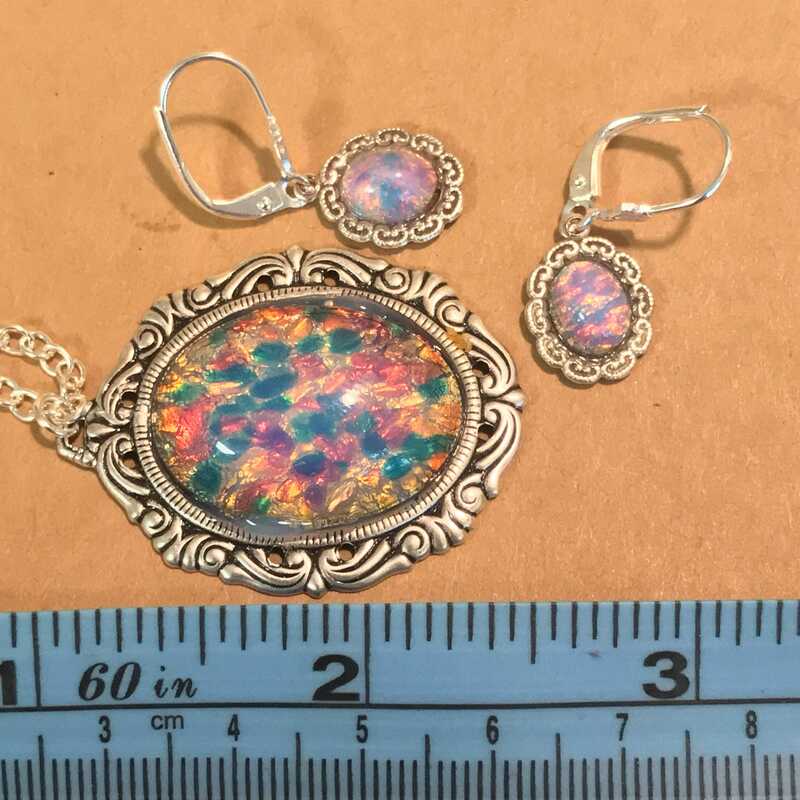 With matching Pink Opal glass earrings on silver bezels with Sterling plated lever ear hooks.